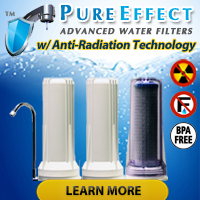 We recently learned that for a limited time only, a company by the name of Nature’s Own Water Care plans to give away free water hardness test strips so people can test their tap/well water for the presence of magnesium and calcium, two naturally occurring minerals in water which can cause ‘problems’ in high concentrations. Typically people refer to water which contains large amounts of one or both minerals as ‘hard’ and water which contains little of either as ‘soft’. Soft water has corrosive tendencies and may cause pitting of some surfaces as it attempts to pull minerals out of them. The majority of people will encounter problems with hard water, though, and not soft water. Hard water can make clothes feel dingy and scratchy, prevent soaps and detergents from properly bubbling or lathering up, cause fabrics to wear prematurely, increase the need for maintenance work on water heaters and dishwashers, clog pipes with scale deposits, and leave an unpleasant film on people’s skin after a bath or shower. Why does Nature’s Own Water Care want to give away free hardness test strips? National and local retailers such as Ace Hardware, Do It Best, Duckwall-Alco, Hy-Vee, Menards, Nuts and Bolts, True Value, Sears, Sutherland Lumber, and Westlake Ace Hardware carry water treatment products manufactured by Nature’s Own Water Care… and Nature’s Own Water Care manufactures chemicals that consumers can use with water softeners purchased at those retailers. Nature’s Own Water Care providing you with a free water hardness test kit will, in theory, make some folks more inclined to go out and purchase their products in the future. 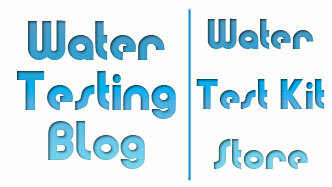 Read the following posting on this site for information about salt-free water conditioners. « Question: When Should I Change My Filter?